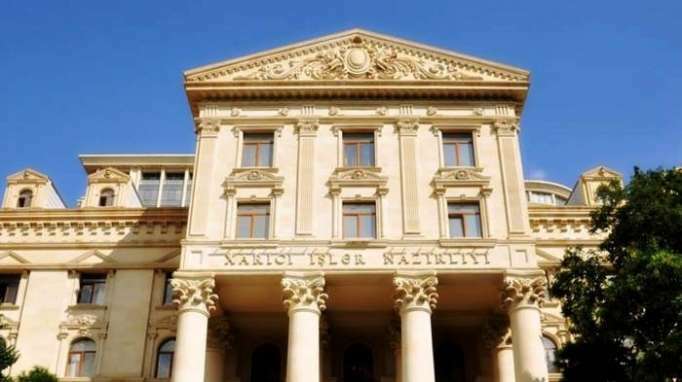 Azerbaijani Foreign Ministry has issued a statement regarding an illegal visit of MEP (Member Of European Parliament) Eleni Theocharous on September 27 to Azerbaijan’s occupied Nagorno-Karabakh region. “Eleni Theocharous, a MEP from the Republic of Cyprus, was included in the list of persons who are prohibited from entering Azerbaijan, and the Prosecutor General’s Office of Azerbaijan instituted criminal proceedings against her on the relevant articles of the Criminal Code,” reads the statement. “This person, who acts under the influence of Armenia and the Armenian lobby, demonstrates the position of justifying and encouraging occupation policy of the ruling circles of Armenia,” the statement noted.